Liberalism is a slippery label, misused ever since the God of the New Testament set the sheep to the right and the goats to the left. Liberals traditionally have been put along the political spectrum at the ‘sensible centre,’ or perhaps the ‘mushy’ centre-left: at its most worthy, however, it has transcended the spectrum and concerned itself mostly with the freedom and protection of the individual. From the right, liberals were sneered at as ‘wet,’ from the left, socialism was held to be the logical next phase (and replacement) of liberalism. This pincer movement of the two extremes is what killed off liberalism, at least for a time, in England. 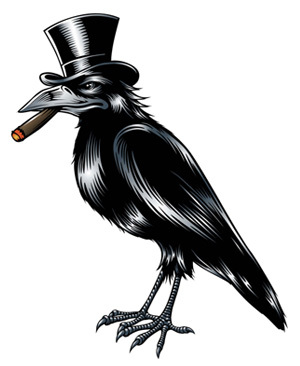 The problem was that, by and large, liberalism was a dogma absent dogma. A liberal* might say ‘let the market rip’ and ‘the only law of economics worth a dime is the law of supply and demand,’ yet call for government intervention in the case of market failure – the so-called ‘god of the gaps.’ And liberals were famously derided as too ready to appreciate the contrary, like the old joke where the mugging victim rationalizes things from the mugger’s point of view. 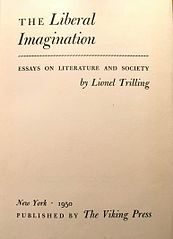 In his great collection of essays, The Liberal Imagination (1950), Lionel Trilling (see main image) suggested that his task was to “recall liberalism to its first essential imagination of variousness and possibility, which implies the awareness of complexity and difficulty.” (Our emphasis). 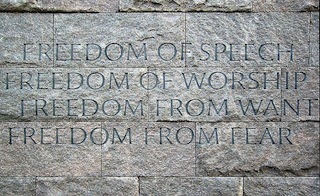 Importantly, he also stressed that liberalism was an emotion or sentiment rather than a doctrine. And he pointed out that liberalism’s great task of promoting freedom (whether ‘freedom from,’ ‘freedom of’ or ‘freedom to’) was artistic as well as political. Writing in the 1940s, Trilling surely had two extremes on the spectrum in mind: Nazi Germany and the Soviet Socialist Republics. So the planting of his flag of liberalism was no placebo. Is the world in 2017 so very different?